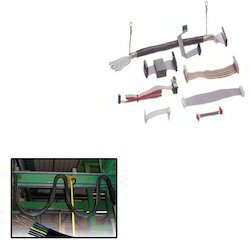 Our renowned company is considered amongst the prominent manufacturer, trader and supplier of the best quality Flat Cable for Submersible Pumps that is used in machines for connecting boards. The offered cable is designed using the best quality raw material and progressive technology in sync with industry norms. Moreover, our quality examiners test this cable against different quality parameters so as to ensure its flawlessness. Clients can avail this cable from us at nominal prices. Looking for Flat Cable for Submersible Pumps ?